At Apiary Made we are continuing Pollinator Week celebrations…and what better way to celebrate than with pollen itself! Read on for three simple meal ideas inspired by this delicious superfood. Bee pollen is flower pollen with a percentage of other components such as nectar, packed together by worker bees into small, edible pellets. Each pellet therefore has a remarkable nutritional profile, including protein, minerals and vitamins. It has a rich, herbaceous taste, hinting of honey and does well in small amounts sprinkled on or included in your meal as a nutritional boost. Get your day started with Peanut butter, banana & bee pollen toast. 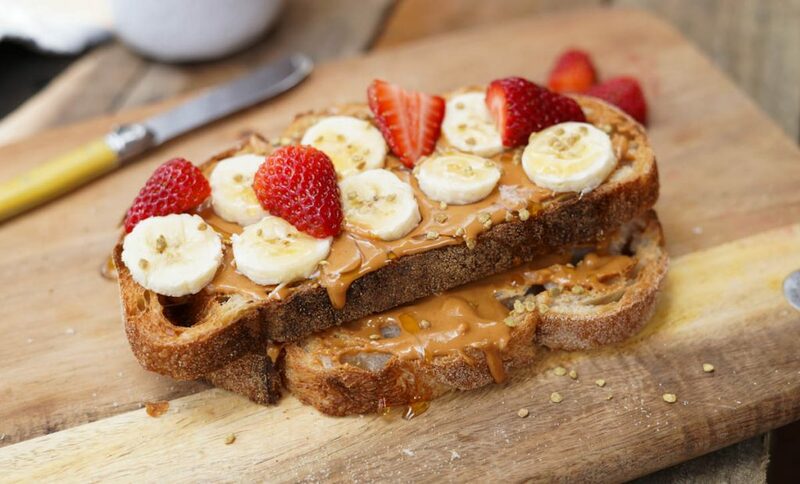 Toast two slices of your favourite bread, spread generously with organic peanut butter and honey, slice banana and strawberries, then sprinkle with bee pollen. 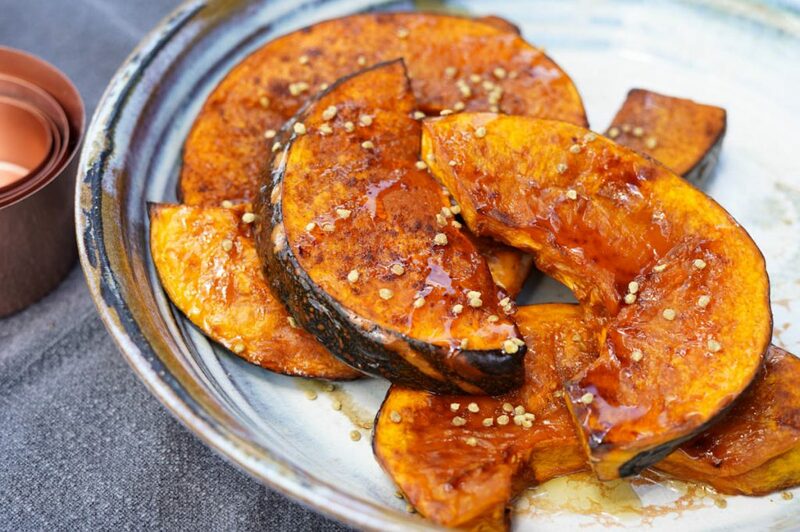 Create a glorious side dish with Roast pumpkin, honey & bee pollen. Preheat oven to 200 degrees. Slice 1 Japanese or Kent pumpkin into wedges, leaving the skin on. De-seed pumpkin slices. Next line a tray with grease-proof paper. Toss pumpkin in olive oil and place onto tray. Sprinkle pumpkin with cinnamon and paprika. Bake pumpkin until golden. When golden, take out of oven and drizzle pumpkin slices with honey and sprinkle pollen on top. A delicious side accompaniment to any meal- we love this one on the table at Christmas! 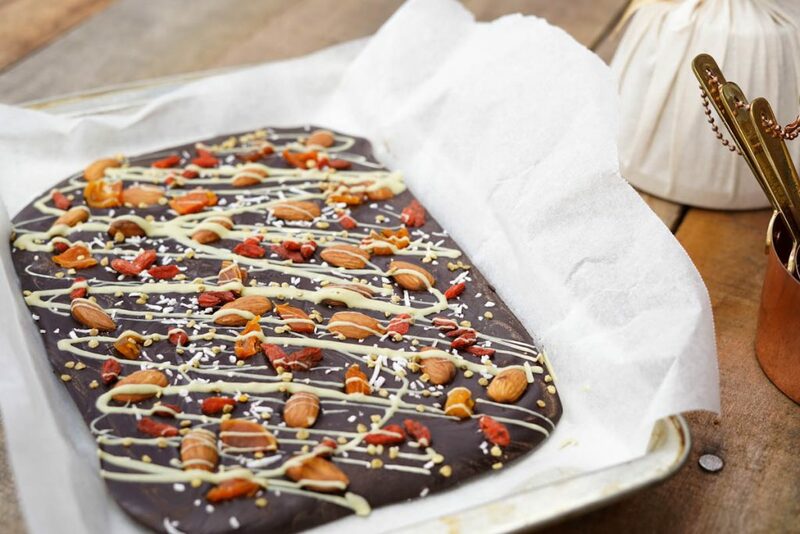 End the night with Superfood chocolate bark. Melt two blocks (400g) of 70% cocoa chocolate slowly, mixing every 30 seconds. Pour into a tray lined with grease-proof paper. Spread chocolate evenly with spoon or spatula until chocolate is around 1cm thick. Sprinkle on top a handful or so of shredded coconut, natural almonds, goji berries, chopped dried apricots and a tsp of pollen. Next, melt 1/2 block white chocolate (100g) very slowly, stirring every ten seconds. Add 2 tsp of Matcha powder. Mix Matcha powder into white chocolate and drizzle this mixture onto dark chocolate slab. Set in fridge until hardened. To serve, break up into desired rough chunks or cut evenly with a knife. Try this one as an afternoon snack or after dinner with coffee. Delicious !